I’m a software engineer at RealScout, and what I do is solve problems for people. My specialty is with user experience, but I love building out our technology from end to end, as this has helped me become much more versatile. I began my passion for Web development when I was just 11, and I continued my technical pursuits when I served as network analyst and developer for the U.S. Air Force. In short, I was born to innovate! Buying a home is among the largest, most emotional and infrequent decisions anyone will ever make. Clients and agents alike are limited by the data and technology currently at their disposal. This is sure to change soon. Every day we spend our time online, searching for answers, buying goods, playing games and communicating with our friends and families. All this activity generates volumes of valuable insights. I see this data feeding into the homebuying experience and taking personalization to the next level. While still working on a government contract in Delaware, I was contacted by RealScout CTO Michael Parikh, and we instantly hit it off. His co-founder, Andrew Flachner, then asked to fly me out ASAP. So after a long cross-country journey with flight delays and missed connections, I finally arrived in San Francisco in the early morning completely exhausted. But Andrew was there to lift my spirits with a hug and a smile. I was impressed that he personally came so early in the morning, and I continued to feel a strong fit for RealScout’s startup culture. For the rest of the day, I met with the whole team. As a recent homebuyer, I was really struck by how needed this product was. Collaborating with my Realtor was a major challenge during my home search. It felt so archaic and chaotic. I just felt like this was a problem that needed to be solved! I was so excited that RealScout could be the solution that would change the industry, so I jumped at the opportunity. The home-finding experience! Agents love selling homes, and homebuyers love buying homes, but it’s only the end goal that really excites everyone. I want to make the end-to-end experience more effective and enjoyable, and RealScout is a huge part of that. Shannon Bertucci: I love solving fun and challenging problems. I love solving fun and challenging problems. Matching homebuyers to homes more scientifically is a huge challenge that will require out-of-the-box thinking. I’m really fortunate to be working with some of the most intelligent engineers and domain experts in the industry. Everyone here has such great ideas for us to execute on, and it makes every opportunity that much more exciting. When we were redesigning our new homebuyer experience, I was personally excited to add commute information to our property listing pages. As a homebuyer, a critical component of location is time and distance to work and other places of personal importance. 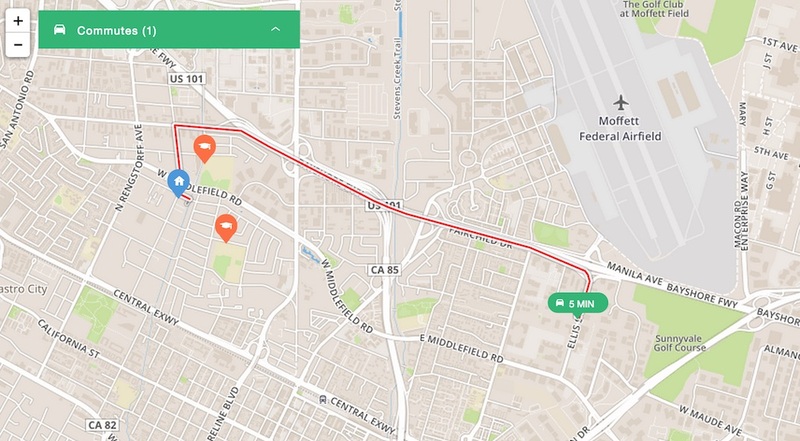 So now on every listing page, our maps show the home in context to our users’ commutes. It’s one of my favorite features on RealScout because I feel like it solves an incredibly important problem! What are you working on right now? What are the challenges? Please elaborate and be specific. We are working on rewriting and redesigning all of our map search experiences. It’s a core part of the homebuying process, and we have to make sure we get it right — when should it zoom? How should it respond? What type of data is the most important to the user at this moment? 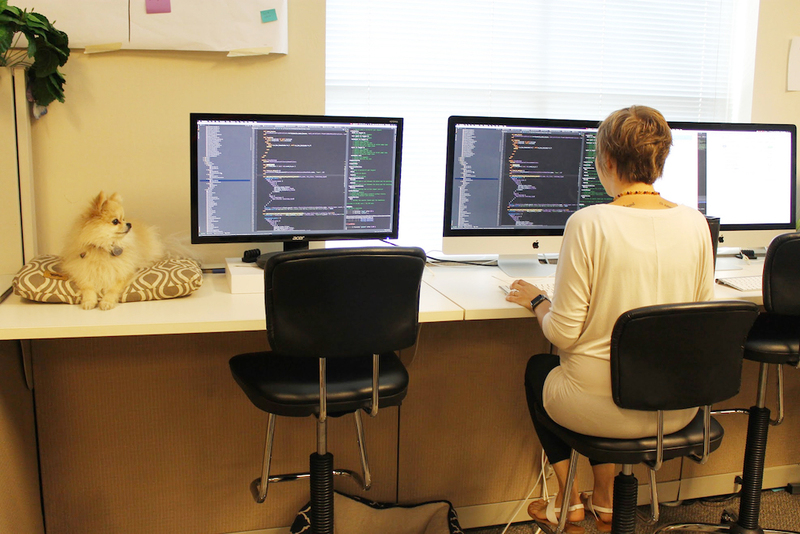 We don’t take this lightly, so we are validating our decisions every chance we get with customer feedback and data! Bacon — is there even anything that compares? San Francisco; the people make the city. I hate how it can get in the way of making real connections with people. I am a huge tech geek, but my connection with the people around me always takes priority. I will consciously turn off screens, especially at home with my family. Shannon Bertucci: My connection with the people around me always takes priority. There are so many problems I’m passionate about solving! A major area of interest for me is how we can make our world a healthier place. I’m a geek for health data and think it can be used to find better ways to track the things that interact with our body. A dream product of mine would be a device to automatically track my nutrition intake at the micronutrient level, and then for it to help me eat more or less of certain foods to maximize my ideal nutrients and absorption. Nothing drives me more than making a positive difference in people’s lives. Buying a home is the biggest investment most people make for themselves and their family. I’m proud to help make finding their dream home a reality.